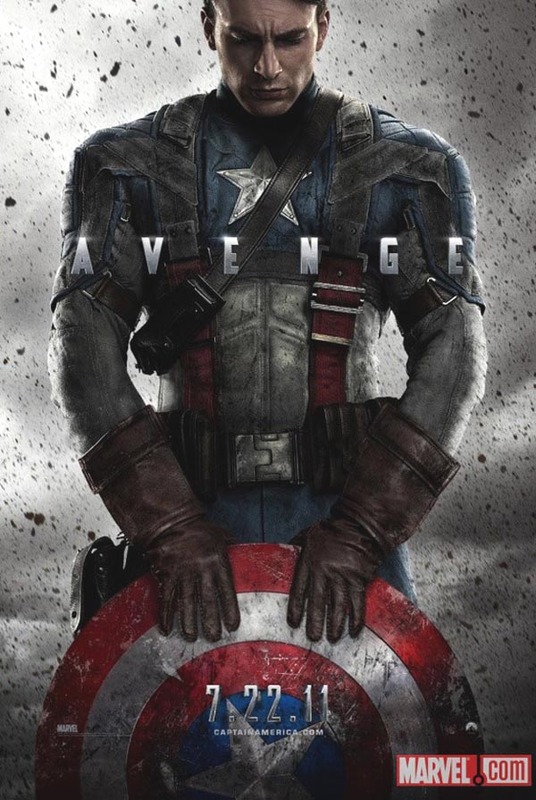 The first Captain America poster has just been sent to me, and it’s got a very post-modern 9/11 theme going on. Avenge. As in Avengers. And not the ones with Emma Peel in, either (ah, Diana Rigg – surely one of the most beautiful women in the world. Ever. But I digress). Looks moody. I love the way the Marvel movies are all converging towards one big crossover… Thor, Iron Man, Captain America, the Avengers – that only leaves Spiderman out in the cold as far as feeling some of that SHIELD agent love goes. Still spinning rubbish bin lids here!